Although the title of this article reveals information on the New Jordans, what I am really focusing on is the ones released (New Jordans 33) during the time when this article was written. 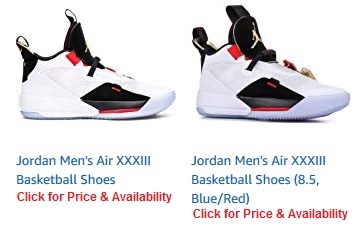 If come across this page at a later date when other New Jordan's have been released, then I recommend visiting the Jordan Brand Collection Website for the very latest Jordans out there. You should check it out because they always come with class, fashion and style. The tractions on these new jordans ranks way higher than surely the last 3 releases of the Jordan Brand. However many people like to correlate sound of traction with actual traction, which is not the case. However if you like sound with your tractions, these new jordans 33, do not just make a sound, but they also make a scritch indoors and outdoors while playing basketball which is good in quickly alerting you if you are slipping or something. This does not mean you are actually getting traction, it just means you are getting a lot of friction in there. However if you are just looking at sound in the court, these new jordans will probably be the loudest on the basketball court. These new jordans also feel to be most durable at the hardwood indoors. Although playing outdoors where it seems to make you feel younger (at least it makes me feel younger) with much more fashion and style, I do not recommend using them outdoors for extensive periods of time as they do start to get frames quickly. This colorway is transluscent, if something like dirt gets clogged up, it is very easy to wash up and get it cleaned up. These new jordans also come with the hexagonal nike zoom air cushioning system in the heel and forefoot area offering that necessary flexibility for the quick changes in direction made while playing basketball. Right on top of the hexagonal zoom unit goes the Flight Speed Plate (moderator plate) which all-in-all gives keeps the entire forefoot completely hollowed out giving you a full impact protection. The upper side of the shoe is very Light Weight and Breathable. 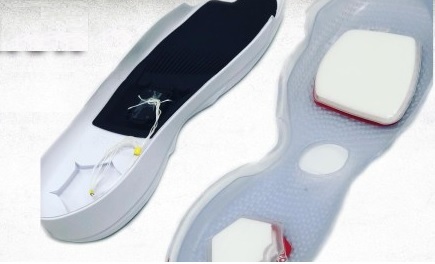 The overlay sections are synthetics, while the main build of the shoe is a basic fused mesh. The FastFit Lacing System in these new jordans uses a series of cables that are connected to a single forefoot strap. You pull on the shoes, pull the strap, and you're fully locked in with one simple motion. The 33 features a circular cutout that lets you see FastFit in action, with a mechanical apparatus clicking along as the support gets tighter and tighter. Pull the eject cord, and you can watch the component parts disengage. It is, frankly, fun as hell to do, regardless of the fact that observation wouldn't really be possible when the sneakers are actually on your foot (and definitely not in a game situation).The below video is this Air Jordan 33 Performace Review I found on YouTube that covers many of the aspects written here which will also allow you to see in action how this FastFit Lacing System actually works. Enough said about the shoes details, all that is left is to have its class worn with the best clothing in fashion and style. Styling them in well suited jeans will give a good fit. Wear The New Jordans in Fashion and Style with Tight/Skinny Jeans - Click for more info! 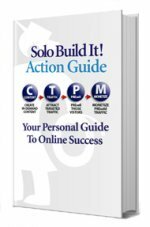 In summary, if you would like to see more articles like this one, be the first to know when they become available at this website by clicking here to subscribe to our Mailing List.